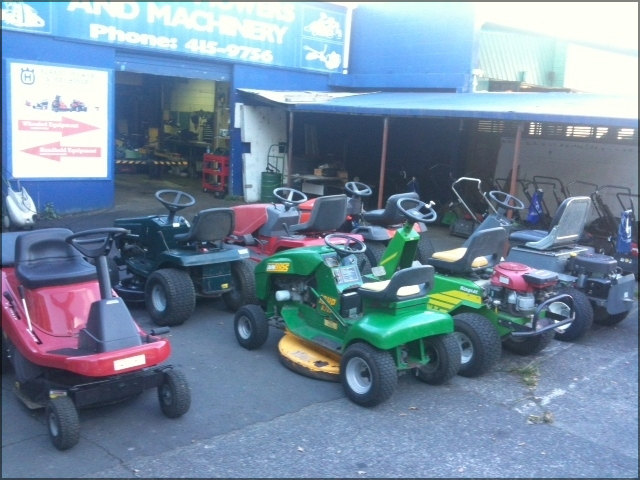 NOTE: Booking in rideon mowers is essential. Please do not just turn up with it as we may well not be able to take it. Many people beieve that to keep a ride on mower in good condition all that is needed is a bit of a wash & top up the oil occasionally. The truth is that a proper rideon service takes about 3 hours and involves over 50 seperate items of inspecting, adjusting & cleaning. Q. How much does it cost to maintain a rideon? A .Based on 25 to 50 hours per year use & reasonable care - under $10 per week including your petrol & oil costs. We have developed an exclusive Servicing program & warranty extension bonus to help you. RIDEON VALET SERVICE- includes collection & delivery (Post code 0632, 0793, 0794), oil change & air filter clean & condition report. Fixed price winter servicing - menu board servicing - know what it will cost before the job is done. Guaranteed quality of repair and 72 hour breakdown service turnaround on machines on our Service Plan. There are some conditions. Want to find out more?